Simplistic but effortlessly glamorous. 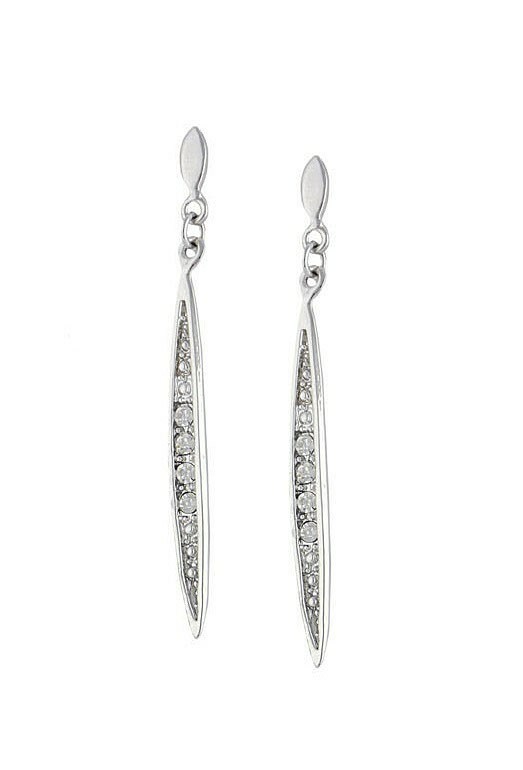 These gold plated drop earrings feature an elongated needle silhouette embellished with rhinestone detailing. A delicate but essential addition to every jewellery box.